Winged eyeliner can absolutely sense fear. 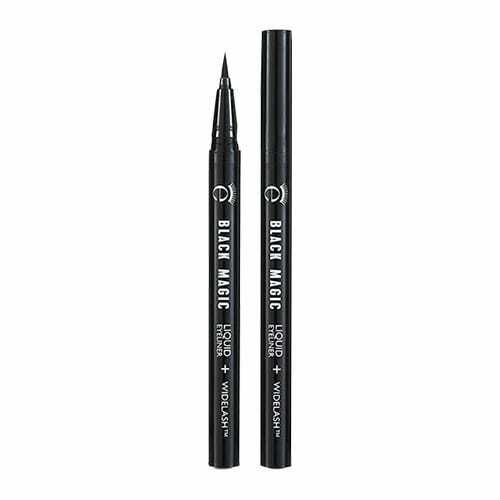 Whether you opt for a pen, pot or pencil as an application tool, what starts out as a fiercely sharp cat eye can end up an uneven, smudged and sooty mess in a matter of seconds if you haven’t gone about it with military precision. So, to save you time (and heaps of cotton pads), here are the failsafe tips and tricks to nailing winged eyeliner, by a beauty editor who rocks it every day. If you’re an eyeliner novice, it’s probably not the best idea to opt for gel pots, which is what you'll see most professional makeup artists and beauty bloggers using. For pots, you’ll need an angled brush and things can get quite fiddly. Instead, opt for an eyeliner pen. Make sure the nib strikes the right balance between firm and flexible, so that you can draw a straight line, but also fill in the space with ease. 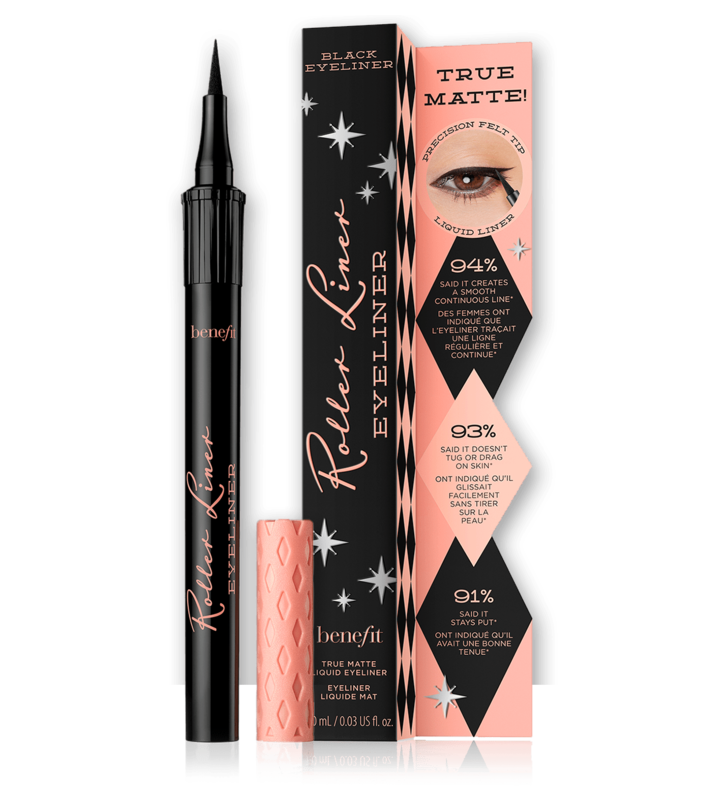 R29 recommends benefit Cosmetics Roller Liner Liquid Eyeliner, £18.50, Marc Jacobs Beauty Magic Marc'er Liquid Eyeliner, £23 and Eyeko Black Magic Liquid Eyeliner, £16. The staying power of all three is brilliant, so your flick won’t fade to a disappointing shade of grey throughout the day. A lot of people make the mistake of applying mascara first, but the nib of your eyeliner pen could get caught in your mascara'ed lashes resulting in a jagged line. You’ll also probably end up with mascara flakes all down your cheeks. Instead, keep your lashes bare and avoid curling them until the eyeliner has dried completely. You might also want to leave your lids free of foundation or concealer to minimise slipping or colour fade. Don't attempt this freehand. Find somewhere to steady your elbow for ultimate precision, whether it's your dressing table or your knee if you do your makeup cross-legged on the floor in front of the mirror. Guilty. A mistake a lot of people make is beginning at the inner corner, but this way, you'll only make it harder for yourself. From the outer corner, draw a vertical line upwards. The higher you go, the bigger the flick will be. Start at the top of the line you've just drawn and make another diagonal line that goes backwards towards your eyelid. 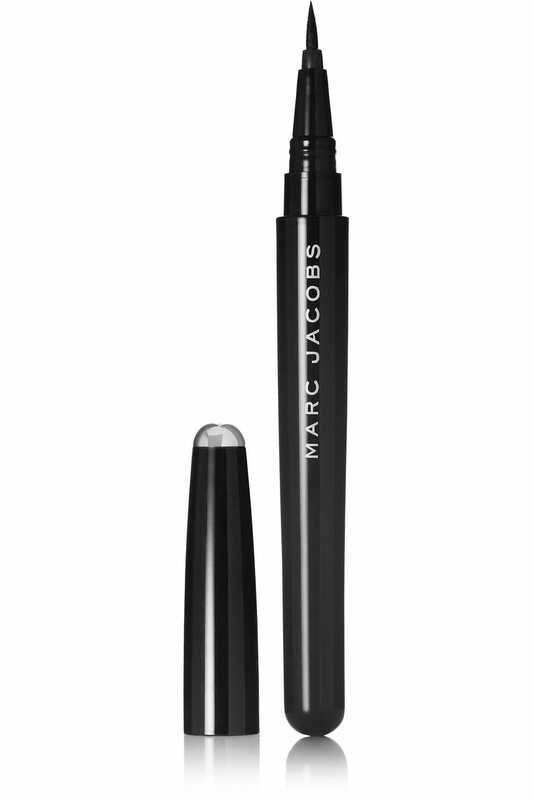 Continue to draw all the way across your eyelid. Where you stop (either the inner corner or middle of your lid) is up to you. You should be left with a blank space inside the thicker part of the flick, so use short sharp strokes to fill this in. For a little extra definition, turn the eyeliner pen horizontally and wedge the nib into the lash line to thicken up the start of the wing. Wait a few minutes for the eyeliner to dry completely before curling your lashes and applying mascara to prevent smudging. Then, you're good to go.